County fairs are a summertime essential pretty much everywhere, and the DMV is no exception. Celebrate with tons of food, unique contests, live entertainment and carnival rides all summer long. The Montgomery County Fair just opened, and will be open for the next nine days. And ride safety is a top priority. News4's Aimee Cho got a first-hand look. Enjoy most of the fun of a county fair right in the city. Arts and crafts vendors, a pet parade, contests and food vendors converge for a day of fun to showcase the area's "agricultural and artistic talents." The fair's been held in many different locations since its first annual event in 2010, and this year heads to the Southwest Waterfront. Compete in Arundel’s Got Teen Talent, watch SuperMagicMan perform his comedy magic show and enter your child in the cute kid contest at the Anne Arundel County Fair. Charles County Fair is hosting pig races, pony rides and a carnival full of rides. Admission is $5 for adults and free for children 10 and younger. Four-day passes are also available for $12. Find fair hours online here. The Great Frederick Fair will host a landscaping competition, cake auctions, garden and farm demos and more. On Sept. 15, entrance is $5 for adults and free for children under 10. Fair hours that day are 2-10 p.m. From Sept. 16 through Sept. 23, entrance is $8 for adults but still free for children. Fair hours those days are 9 a.m.-10 p.m. 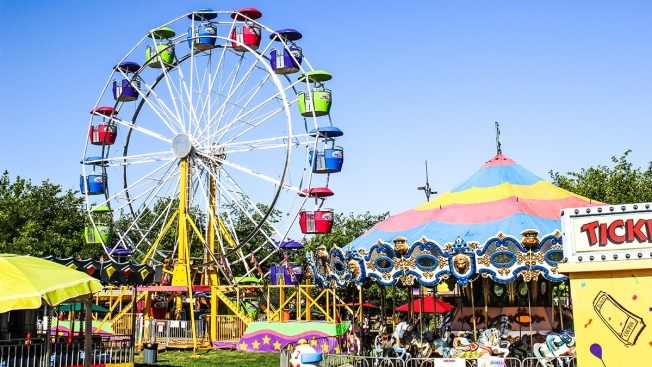 Enjoy the carnival rides, compete for best jam in the county and pet farm animals at the Prince George's County Fair. Fair entry is $5 per person. Single tickets for $1.50 and books of tickets for $25 and $55 will be available to enjoy rides. Rides are 3-5 tickets. The St. Mary's County Fair hosts competitions around raising livestock, crafting home art, gardening and 4-H departments. Daily fair admission is $5 for adults, $1 for children ages 6-12 and free for children under 6. Find fair hours online here. All D.C.-area county fairs in Virginia have already happened for this year.